Do you have a burning passion for angling or just enjoy the sport? Please take five minutes to look at our Sponsors Here! AGM went smoothly and well, the Committee has a few changes to this year by Fred standing aside to let someone else take his workload while he still stays on in an Honorary position as club President and continue his fundraising tasks. Mr Andy Farrell takes up the Chairman's role stating he will continue to support the clubs mantra for supporting the Disabled foremost. Mr Mike Waite has taken the Match Organiser role and hopefully continue in Derek's footsteps in keeping an array of Matches for the Members. membership fees need to be paid before you can take part in the Clubs activities, please be advised the end of April is the cut off point after that we will be asking for the £10 rejoining fee. A Big thank you to thise who turned up to Support your club and vote on what matters and for your committee members to run the club on your behalf. Raffle Winners can be found by clicking Here! Members the Work Party was covered by the usual Members and big thanks to those who turned up as you achieved far more than we expected to get done. The Next work Party will be soon after the next Match date in April 28th alt Date if Raining 5th May. A work Party to clean and clear out the shed will be needed all those who wish to help please see Paul or Sue down the clubhouse, Volunteers will be needed to paint. We wish to thank all those who supported the Project on the Lakes the addition of fish predation islands and Marginal Islands have made a big difference to our lakes adding oxygenating plants on coir matting that will provide a haven for fish cover and bug life to thrive, A web page will be added ASAP. big thanks to Paul Bailiff and Sue the associate rep for moving and installing the left over coir matting in the margins adding plant life to the margins between pegs. A big thank you to the Team from the Environment Agency who netted the lake for a fish stock many thanks for all those who assisted in this making the whole process safe and secure for our stock. Members and Viewers alike please take the time to support us by clicking our sponsor link on the main section above or from the menu links along the top as it helps keep this website going and hope to support what we are all about . All unpaid Volunteers who are committed to supporting the Disabled Angler. Andy Has shown great promise and Loyalty towards the club and its Mantra and vows to keep and support the club ideals and what it stands for. Dave Was voted on the committee April 2015 as club Secretary and has worked hard to move up to the treasurer position and has proved himself worthy of such a trusted position. Jane has been a member for a while now and has helped the club behind the scenes and is going to be a great asset to the Club and its members . Mike has been part of the Team for the past year along with Derek and john and now taken the role over. Sue joined the committee back in 2015 and as a keen helper sue is not only respected member but an asset not only to the committee but the members alike approachable and caring. Sue takes her job seriously. 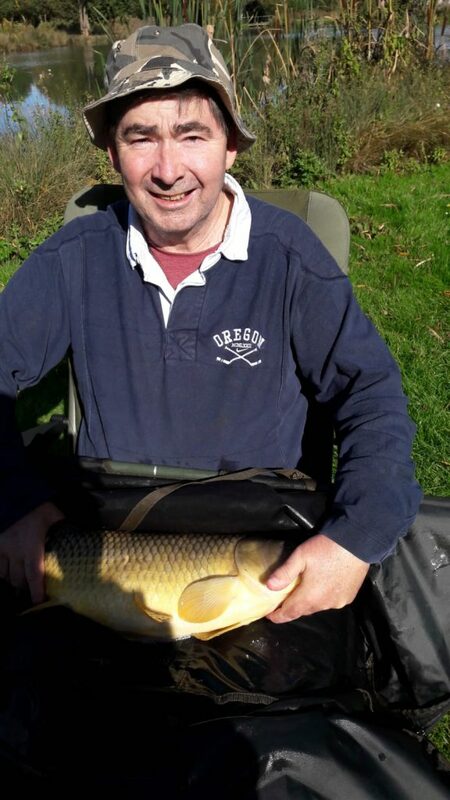 Paul Joined with his wife sue and has demonstrated his experience and compassion as an angler and his position on fish care has impressed the committee in 2017 that they offered Paul the job of club Bailiff and has overseen the work parties on our lakes ever since. Fred has been a valuable member of Horizon Team and has now stepped aside to let someone else take the Rains of the club, and staying on the committee in an advisory role and continue to source funds for our association. 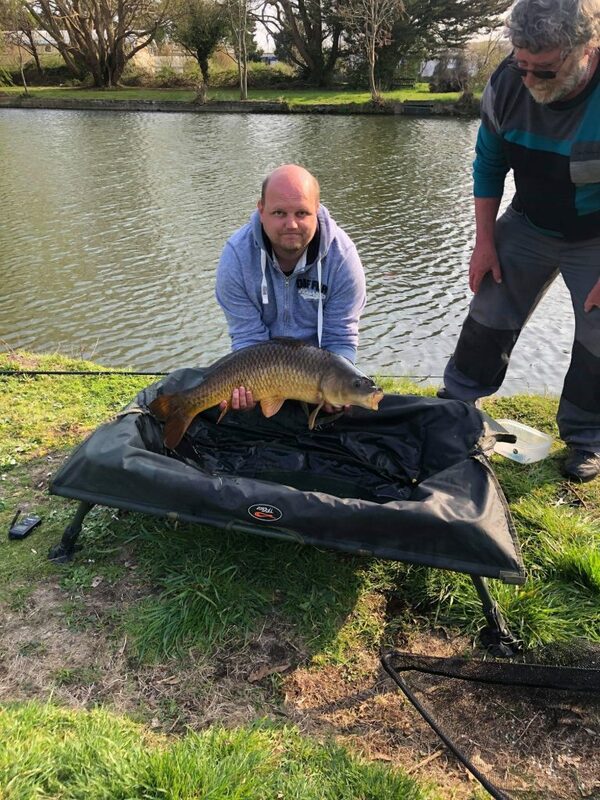 HorizonAngling Club for the Disabled is a Registered Charity that is involved in many aspects of fishing for the disabled angler and abled bodied angler alike, in addition the club is also involved in many aspects of Coarse fishing, Fly fishing and Sea angling. The club runs matches throughout the summer Months for top weight and best specimens in a friendly manner. We meet every Thursday between 16:30pm and 19:30pm (winter Months vary) at our modest club house, Unit 11/12 Bastion 3, Scott Road Hilsea, Portsmouth PO3 5JH. 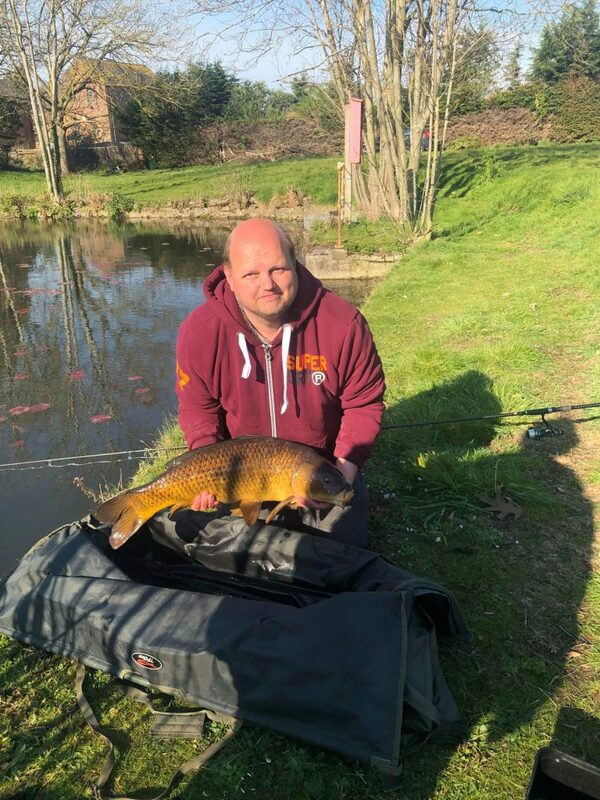 We have our own Private Lakes that hold a good head of large Carp, bream and Tench, The club holds exchange tickets with several local course fishing clubs. The club also organizes a "Try Fly Fishing" day as well as organizing sea angling from the local pier and from local wheelchair accessible charter boat at a reduced cost to our members Pop down and enjoy a chat or a drink everyone is welcome. unit 11/12 Bastion 3, Scott Road Hilsea, Portsmouth PO3 5JH. When the Horizon Angling Club for the disabled first contacted WetWheels in 2015 it was always going to be the perfect partnership. The Horizon AC ticked all the boxes for our WetWheels operation. A group of enthusiastic, friendly and down to earth guys who love their boat fishing going out on our fully accessible power catamaran with an owner and skipper who also love fishing was always going to work. We at WetWheels have been looking for a club just like Horizon to use our specialist facilities on board and now we are looking forward to many more successful fishing trips in 2016 and beyond. So welcoming and they couldn't be more helpful. I can drop my disabled husband there, knowing they will help him if he needs help. And it's great for him to be amongst like minded people, enjoying the outdoors. Horizon Angling Club is fantastic, they allow people with disabilities to partake in angling and have regular events, what a great bunch! Please get use to Dipping your nets, slings and mats before fishing basic prevention all anglers should be doing. In the event of no Dipping Tanks all nets and Gear should be Completely dry not damp before fishing commences to aid Bio-Security measures. This year, due to a fewer number of Associate Members who fish Match Meetings, we will run one course Match Meeting Competition League which will be open to all members whether Full or Associate. There will be a new Havant Lakes Cup which, we feel, will be advantage to all members who can only make it to weekend match meetings. Please follow any instruction given by on-site Bailiffs and match organisers and remember to take all litter home with you after fishing. Any Questions, Let the Match Team know using the form below. "Potential new Members should note that they would need to arrange their own transport to and from matches and those requiring a Carer would need to be accompanied by a helper as Horizon's volunteers cannot provide personal care." Great Work from the Team today.